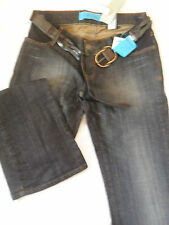 BNWT Next Ladies Leather Look High Rise Jeans Size 12 R Brown. Condition is New with tags. Dispatched with Royal Mail 2nd Class. 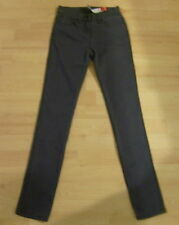 Coated Black/ Leather Look Skinny Jeans Size 14 R. Condition is New with tags. Bought them for £40 , I have never worn these and now too big for me. Please view my other items. Skinny Jeans NEXT 12 Long Cream Leather Elegant Z10 Vgc. Condition is Used. Dispatched with Royal Mail 2nd Class. 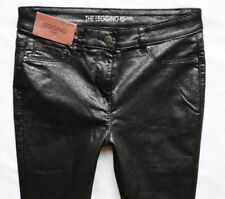 next jeggings dark purple leather look skinny leg size 16 brand new never worn . Condition is New with tags. Dispatched with Royal Mail 1st Class. Next leather look ladies size 20 jeans nwot. Dispatched with Royal Mail 2nd Class. There like a wet look/waxed/leather look kind of trouser. Great quality that you would expect from next. 2 fake pockets at the front. 2 real pockets at the back. 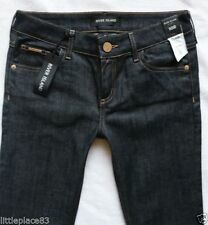 FOR SALE ARE THESE STUNNING PULL ON STYLE COATED JEANS IN SIZE 26 FROM NEXT. THEY ARE BLACK AND COATED GIVING THEM A LEATHER LOOK. THEY HAVE AN ELASTICATED WAIST NO ZIP OR BUTTONS, JUST PULL ON. ""SIZE 26 STUNNING BLACK LEATHER LOOK PULL ON JEANS FROM NEXT, BNWT, £26 (P1)""
FOR SALE ARE THESE STUNNING PULL ON STYLE COATED JEANS IN SIZE 24 FROM NEXT. THEY ARE BLACK AND COATED GIVING THEM A LEATHER LOOK. THEY HAVE AN ELASTICATED WAIST NO ZIP OR BUTTONS, JUST PULL ON.